Have a picture of Earth or a globe present to provide an example of what it looks like. 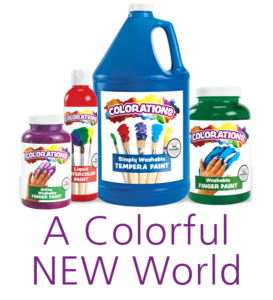 Provide all colors of air-dry foam since kids may decide to use a different color pallet according to their own imagination and creativity. 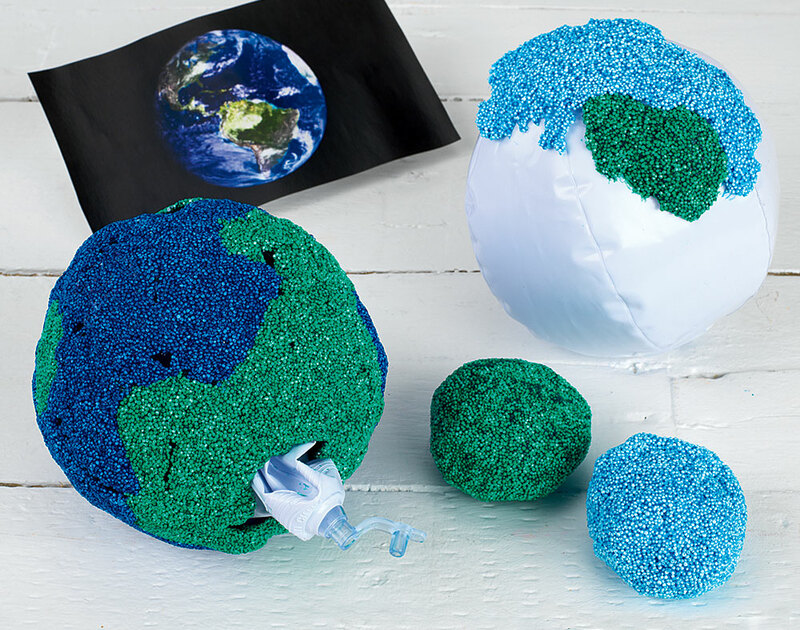 Gather the following materials to create your own unique model of the Earth: air-dry foam in a variety of colors, inflatable forms and photos of Earth or a globe. Place emphasis on discussing the land and oceans, but don't require or expect children to create realistic models. Inflate an inflatable foam form and insert the plug, leaving it on the outside. It is best not to push the plug inside completely, or it will be difficult to remove. Choose at least 2 colors of air-dry foam and begin placing them onto the form. It may be best to flatten out the foam and then lay it over the form. The foam is like glue so it will stick and stay. Cover the form completely except for the area just around the plug—this is where the form will be pulled from. Allow to dry completely, preferably overnight. Deflate the form once the foam is dry. Then stick your fingers around the inside to unstick and pull the form out from the foam! Just the shell will be left behind to represent the Earth. The form is reusable! That means it contributes to the recycle rules: recycle, reduce and reuse. Discuss other ways to stick to the rules of recycling. Ask the children what sorts of planets they would create if they could. The foam is very resilient when dry. There should be no fear of tearing the dried shell to get the form out. Also, using both hands in a spreading motion to place the foam on the form is best—a great motor skills activity. Here are a few ideas of what to do with your newly created model. Put an LED light inside so light shines through. Use it as a ball. Give it as a gift. Use as a tissue holder. The possibilities are endless!